Your celebration • Our happiness ♥ Welcome to my creative corner! Hello everyone! 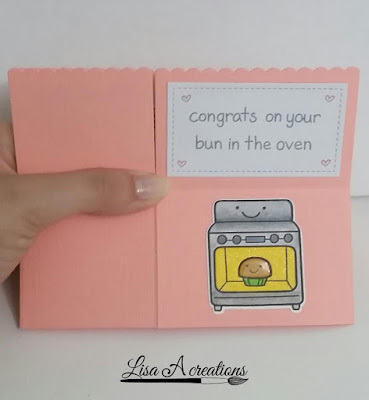 It's Lisa here with another card and crafty video. 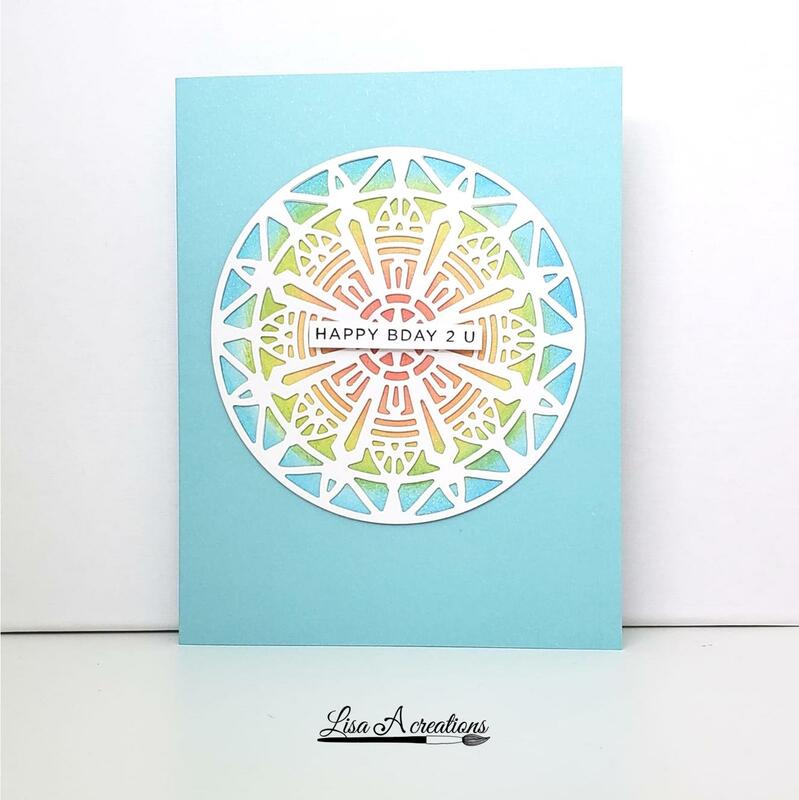 Today I created a birthday card using the "Modern Mandala" die from Pink Fresh Studio and some Distress Oxide inks. I started this card by tracing the mandala die onto some white cardstock in order to have a guide as to where to place my colors. 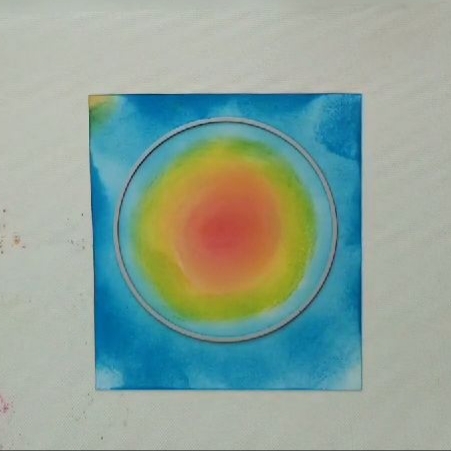 Then I ink blended some Ranger "Distress Oxide" inks in rainbow colors in a circular pattern. 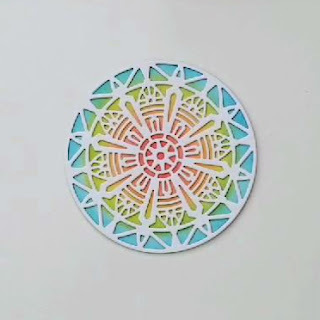 At first it looks like a mess but trust me that once you glue the mandala die cut, it looks MUCH better. 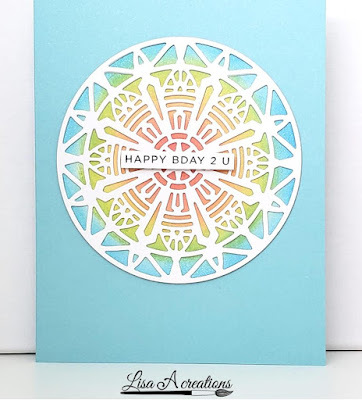 Then I die cut a circle slightly smaller than the mandala die cut piece using We R Memory Keepers "Nesting Circle Dies". I used my heat tool to speed up the ink drying process. I sprayed some "Sheer Shimmer Spritz" sparkle from Imagine Crafts and dried it with my heat tool again. You can barely see the shimmer in the video, but believe me that it sparkles. After that, I glued the white mandala die cut to my inked circle using some Ranger "Multi Medium Matte" adhesive. Then on a strip of white cardstock I stamped the Simon Says Stamp "CZ Simple Sentiments 2" with some Ranger "Archival" ink. I adhered the sentiment strip with some double-sided foam strips. To finish off the card, I adhered this piece onto some light blue cardstock using Gina K "Connect Glue". I hope you enjoyed this card. Thanks for joining me today and if you have any questions, feel free to write in the comments below. Here's a video with the process on how I made this card. Enjoy! Today I made a shaker card. I started with a square piece of blue striped patterned paper. I die cut a heart in the center using Lawn Fawn's "Heart Stackables". Then I adhered a slightly smaller piece of acetate on the back. Still on the back of the card, I outlined the heart shape with some Darice double sided adhesive strips to create the well for my sequins. (This tape is the best for creating shaker cards. ❤ It's so easy to bend and shape into the space you need.) I also added strips of that same foam tape around the corner edges of the card. 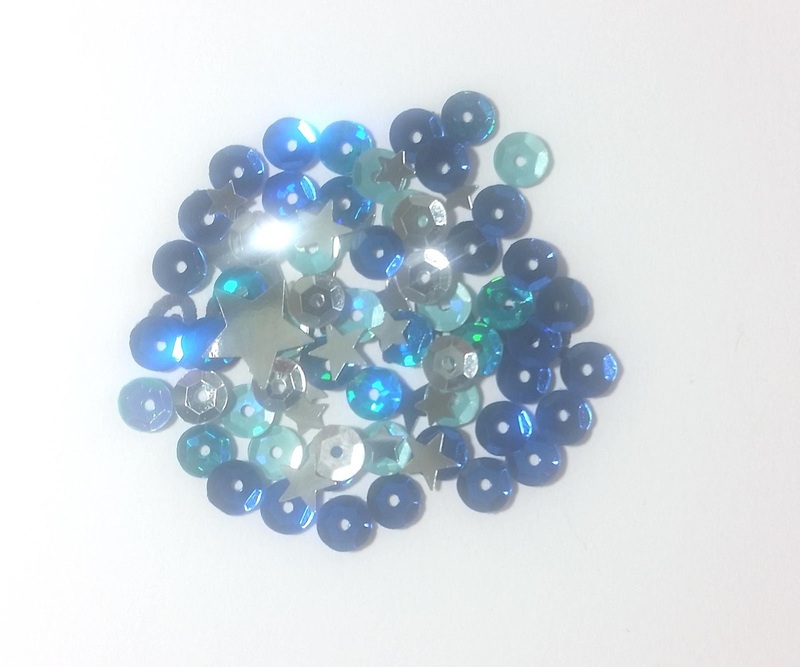 Then I filled the heart well with blue sequins. Since I wanted to fill the area with sequins and not show a lot of white space, I added A LOT of sequins. After I was happy with the amount, I took a square card base and placed it on top to close the shaker card. To finish off the card, I stamped the sentiment you make me from Altenew's "Halftone Smile" stamp set with some Lawn Fawn mermaid ink. 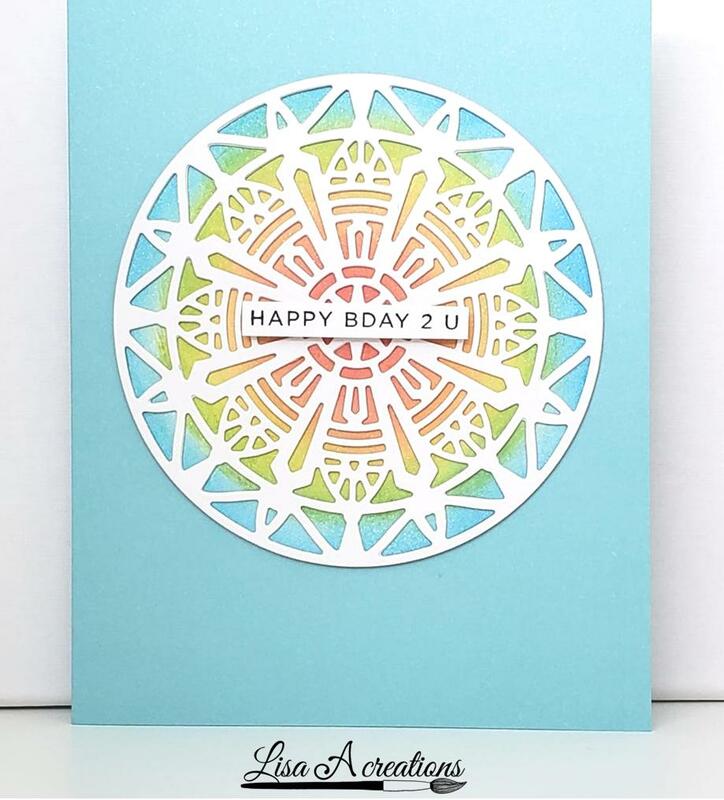 I also stamped and die cut the happy sentiment from Lawn Fawn's "Happy Happy Happy" stamp set with the same ink. I adhered the happy sentiment with Ranger's Multi Medium Matte and the you make me sentiment strip I propped up with some 3D foam squares. Hello everyone! It's Lisa here with a new card. It's been a while since I don't post on my blog. It's been an interesting month and a half after Hurricane Maria. Thankfully we have water every day and electricity almost every day. 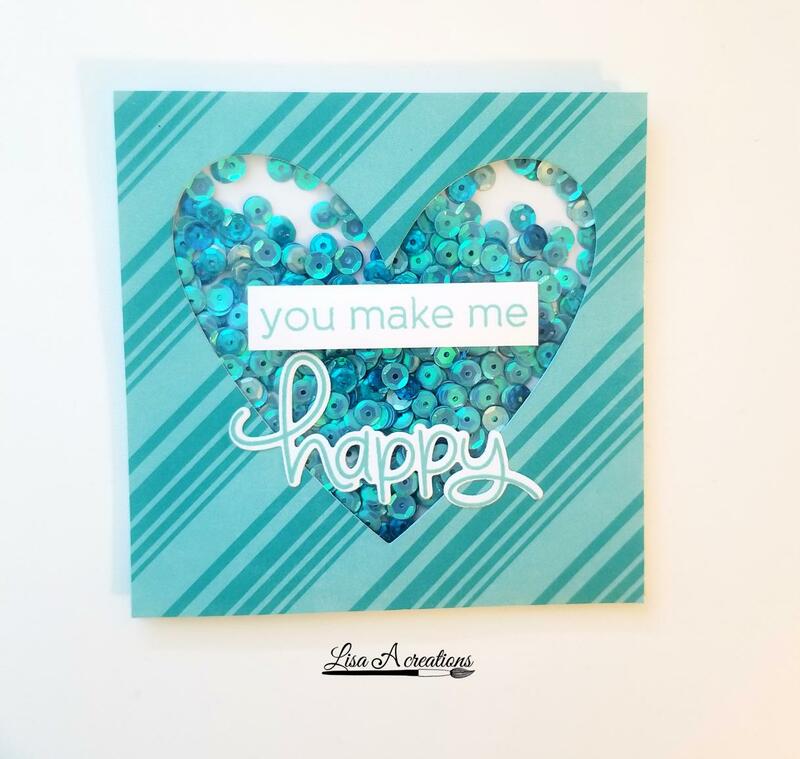 Two weeks ago our Internet service provider finally fixed the lines, so I have been catching up on all the cardmaking inspiration in all the blogs and on Instagram. 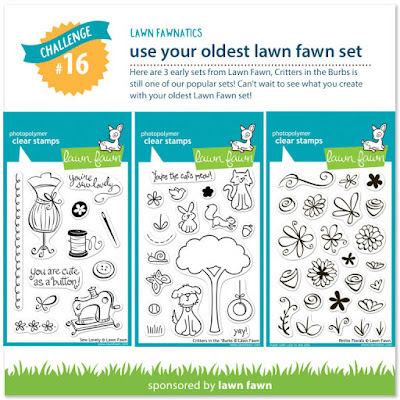 The Lawn Fawnatics Challenge #16 is to use your oldest Lawn Fawn set. I don't have any from the 2010 release, but my oldest sets are from the 2011 release. 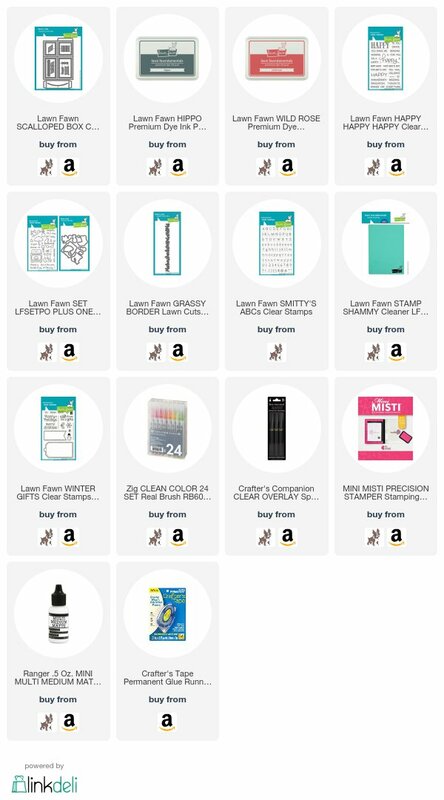 For today's challenge, I'm using "Plus One" and "Smitty's ABCs" stamp sets. I combined these old sets with the 2017 "Scalloped Box Card Pop-Up" die. 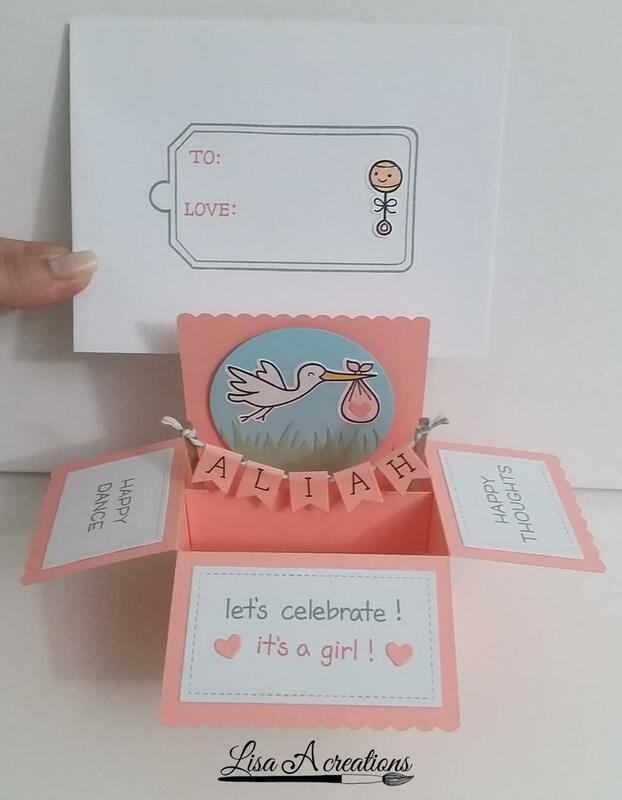 I created this baby card for my cousin who's having a baby girl. We had a gender reveal party and it was lots of fun. 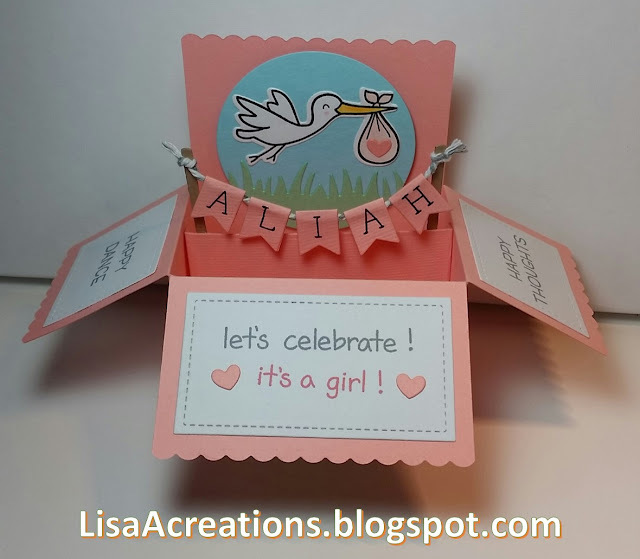 I started by cutting the box card out of some pale pink Bazzil cardstock. I assembled the card and folded out 3 of the sides. 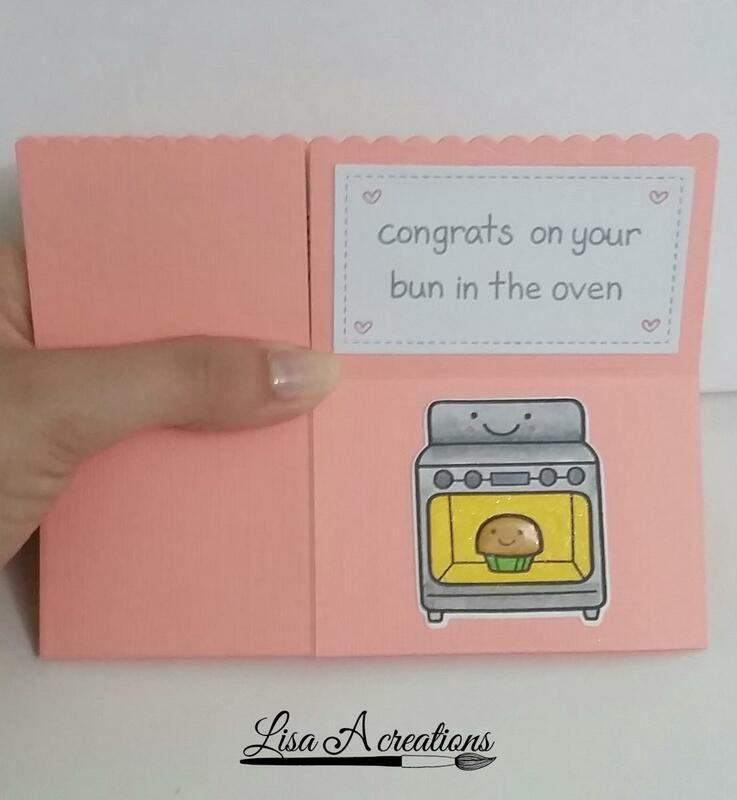 On the outside of the card, I stamped and die cut the oven from the "Plus One" stamp set and colored it with Zig Clean Color Real Brush Markers. I added some shimmer with the Spectrum Noir sparkle pen and a little Glossy Accents for the tiny cupcake. I also cut out the white frame out of some Neenah white cardstock. I stamped the sentiment with some Hippo ink and the tiny hearts with Wild Rose ink. 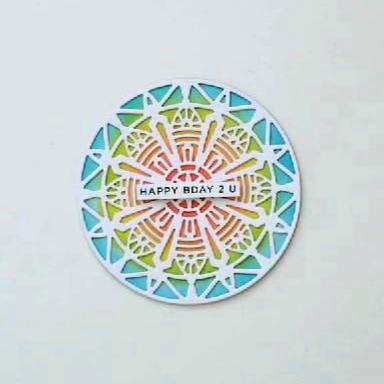 For the inside of the card, I cut a circle out of some light blue cardstock and the "Grassy Border" die out of some light green cardstock. 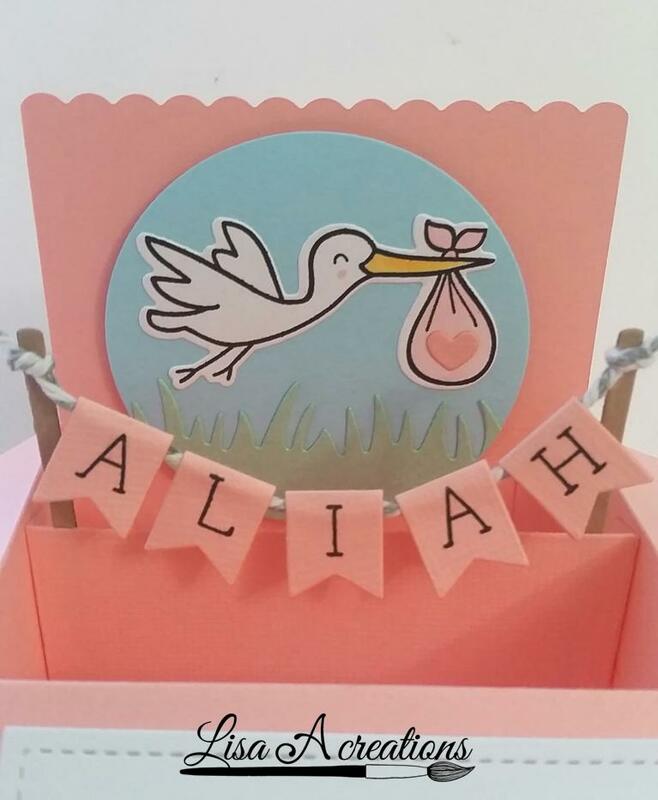 I stamped the stork from the "Plus One" stamp and lightly colored it with Zig Clean Color Real Brush Markers. 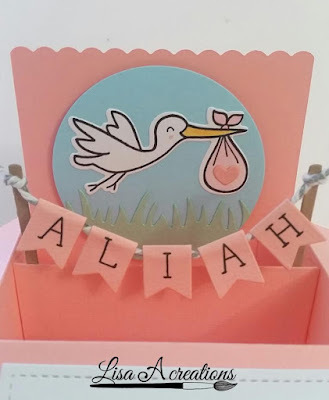 I cut out the large banners out of the pale pink Bazzil cardstock and used "Smitty's ABCs" stamps to stamp out the baby's name. 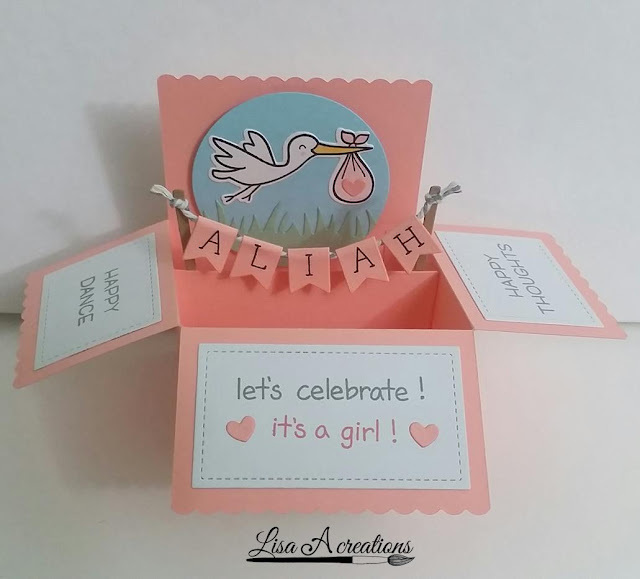 👶 I love personalizing cards! I cut the sticks out of some kraft cardstock and tied the gray thread on both sides. I then glued each letter to the string with some Ranger Multi Medium Matte. For the outside flaps, I cut the frames out of Neenah white cardstock and stamped some sentiments from "Happy, Happy, Happy" stamp set from 2017 and the "Plus One" stamp set from 2011. 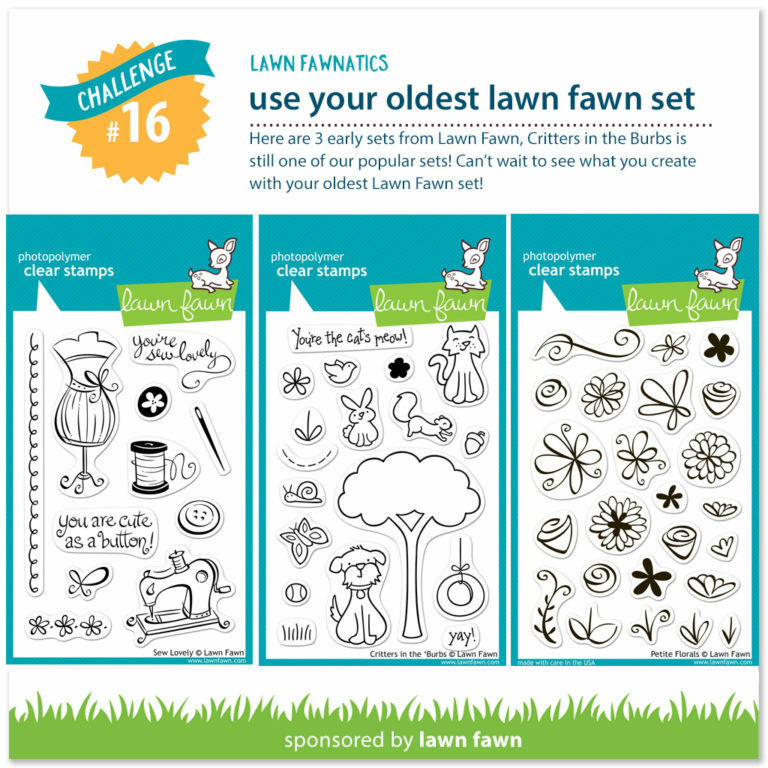 Once again a combination of old and new stamp sets from Lawn Fawn. I paired the card with a white envelope. I stamped the tag from "Winter Gifts" stamp set with some Hippo & Wild Rose inks and added a little baby rattle from "Plus One" stamp set. I hope you enjoyed today's card! 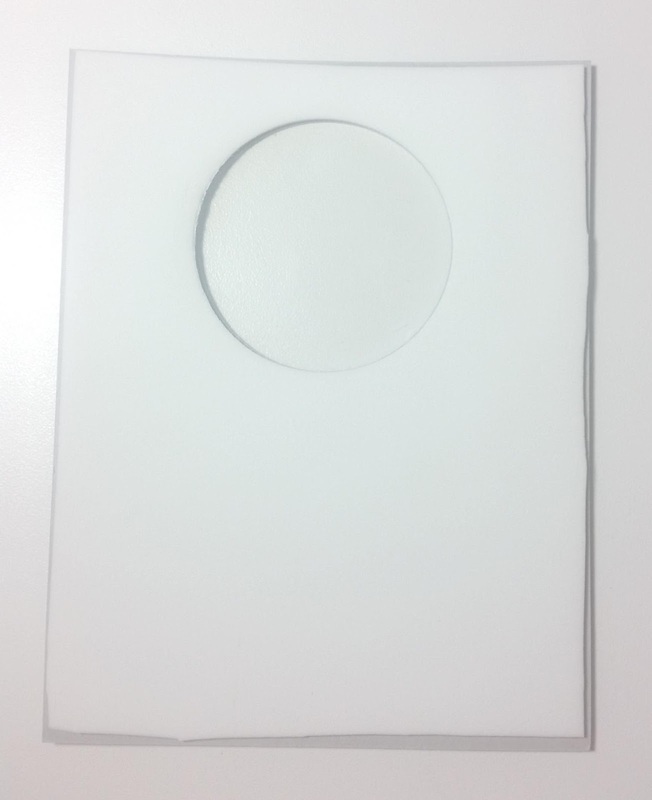 Here's a quick video of how the card opens up. If you liked today's card, please leave a comment below! Hello there! It's Lisa here with another graduation card. This time I decided to do a shaker card. I started off with a 4.25 x 5.5" piece of gray cardstock. I die cut a circle in the center and glued a piece of acetate behind it. I stamped and colored a cap and diploma from Sunny Studio Stamps "Woo Hoo" stamp set and fussy cut them. 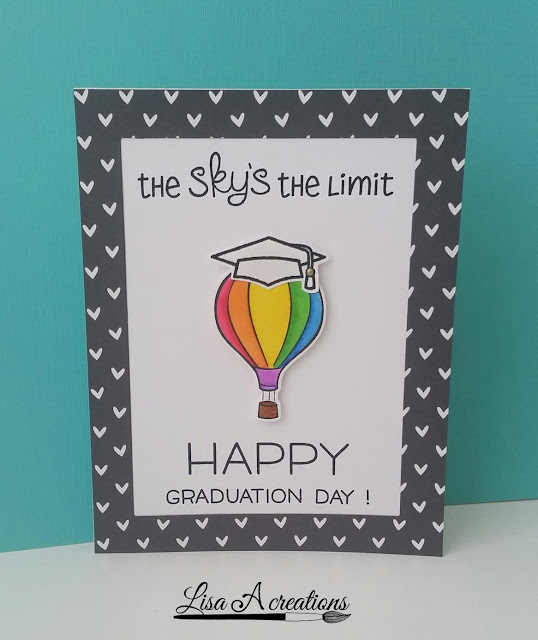 I also added the happy graduation sentiment to the front of the card. 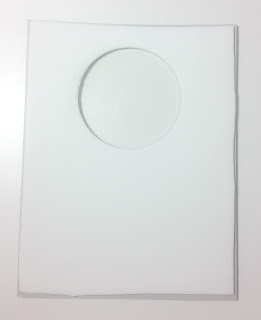 Then I cut a piece of white fun foam slightly smaller than the gray cardstock and die cut the same size circle in the center to match my gray cardstock. I glued the piece of fun foam to the back of the gray carstock to add some dimension. I made a cardbase out of Neenah 110 lb. white cardstock and I stamped the Woo Hoo sentiment in the center, making sure to line it up with the die cut circle in the gray cardstock. I then glued a couple of sequins in place so that they will be visible all the time, even when shaking the card. 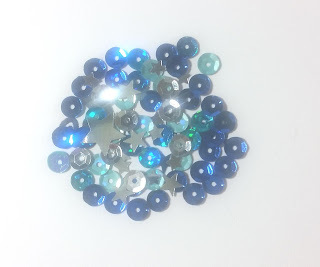 I used a blue holographic 5mm sequin mix and some silver stars. I glued the gray cardstock with the fun foam on top of the sequins. This is how it looks after you shake it. I added glossy accents to the cap to make it nice and shiny and also to the red bow on the diploma. It gives it a nice sparkle and shine that matches the sequins. To finish the card, I stamped the following sentiment on the inside of the card. This sentiment and strawberry are from the "Fresh & Fruity" stamp set from Sunny Studio Stamps. 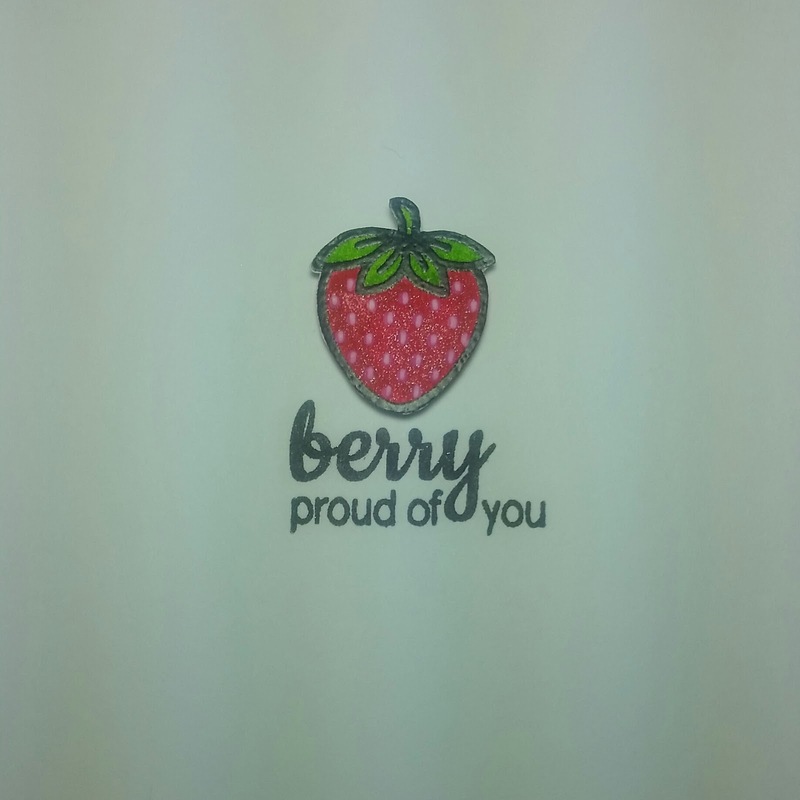 The strawberry outline I stamped with Versafine onyx black ink and then heat embossed with clear embossing powder. I then colored the image with my Zig Clean Color Real Brush markers and I added some dots with a white gel pen. I hope you enjoyed today's card! If you have any questions, feel free to write it in the comments below. See you next time! Today I'm sharing a card I made for my brother celebrating his graduation from Pharmacy School. I also submitted this card for Lawn Fawnatics challenge #4 titled: "Black, White and Bright". The challenge is to do a black and white card with a pop of color. For the front of the card, I used Lawn Fawn's "Let's Polka in the Meadow" petite paper pack, the black and white hearts patterned paper. 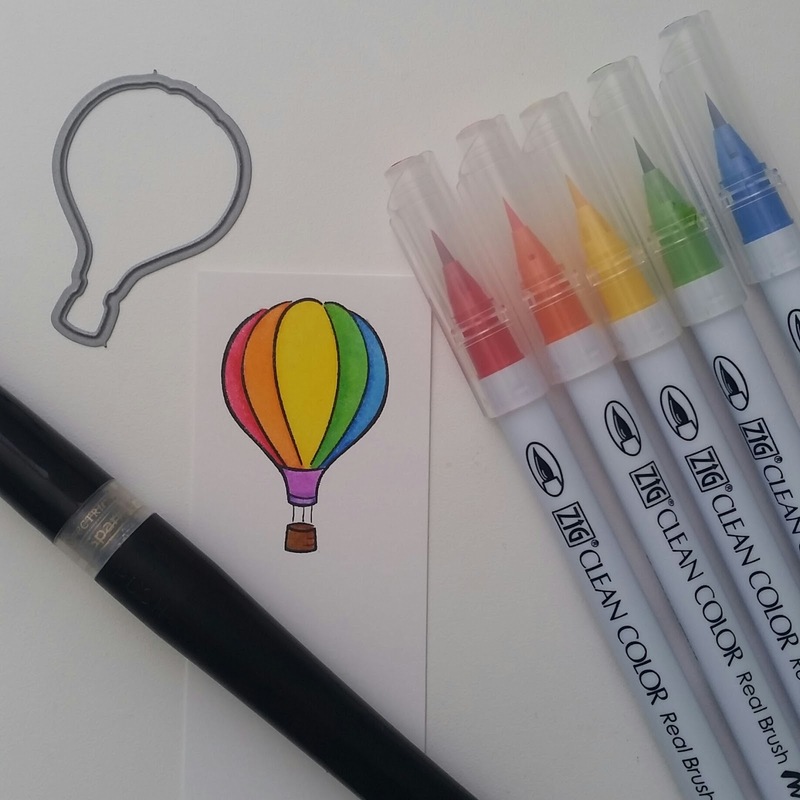 I then stamped a hot air balloon from Lawn Fawn's "Blue Skies" stamp set with Archival black ink on a piece of Strathmore Bristol Smooth paper. I used this paper because it blends the "Zig Clean Color Real Brush Pens" beautifully. I colored the image in bright rainbow colors. I added some shimmer with a Spectrum Noir clear shimmer pen. I used the coordinating die to cut the image. 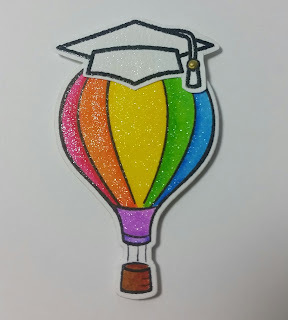 I added a graduation cap from Sunny Studio Stamps called "Woo Hoo". 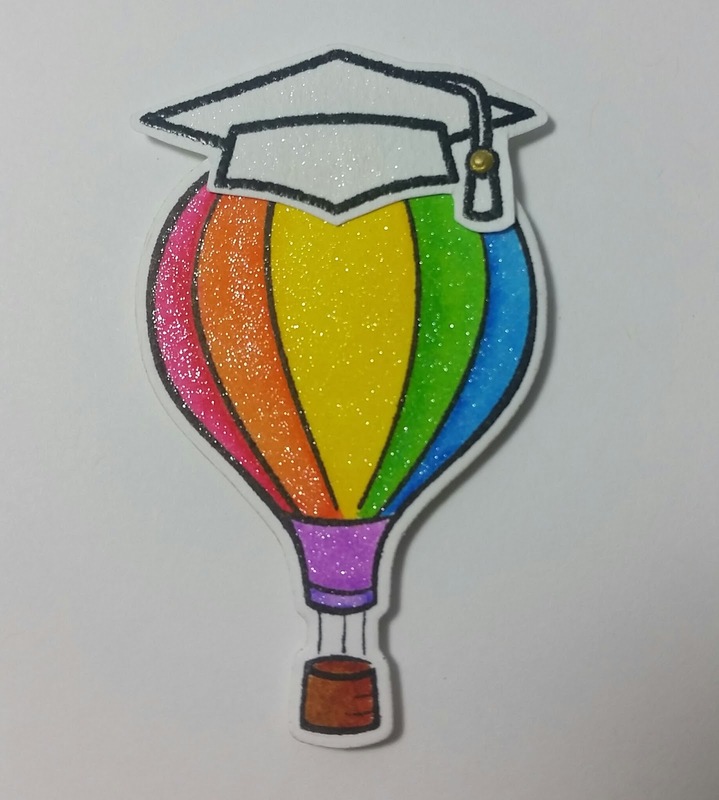 Here is a close up of the hot air balloon with the graduation cap. You can see the beautiful shimmer. I adhered the balloon with some foam tape to add some dimension. To finish the card, I used a sentiment from Lawn Fawn's "Blue Skies" stamp set and added it to the top of the card. At the bottom of the card, I stamped a sentiment from Lawn Fawn's "Happy, Happy, Happy" stamp set. I hope you liked today's card. If you liked my card or have any questions, please leave a comment below. Hello! My name is Lisa and I ♥ cardmaking! Have any questions? Send me a message! All content on this site, including text, photos and design work is intended to be used for personal inspiration only and may not be copied for publications, contest submissions, or claimed as your own. Please respect intellectual property. Thank you!